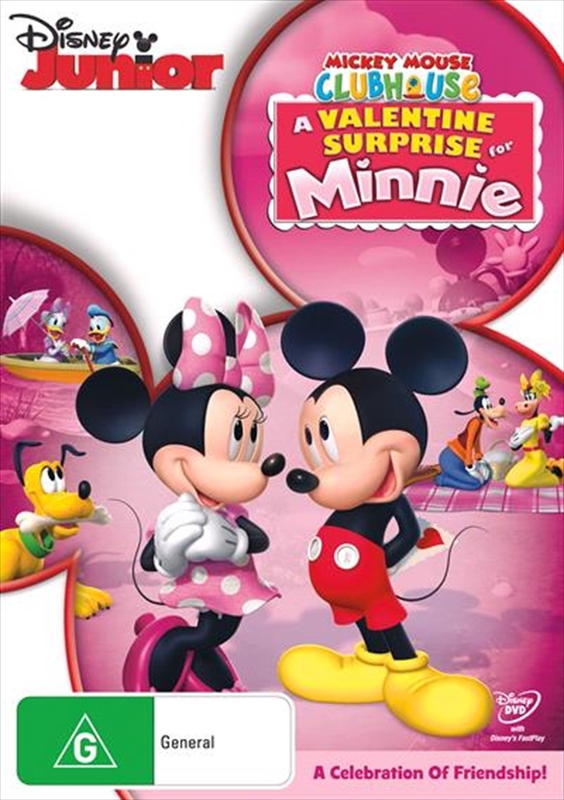 Share the sweetest day of the year with your Clubhouse pals and help Mickey create A Valentine Surprise For Minnie! Mickey wants to give Minnie a gift from the heart: a pink, sparkly Valentine. But can he finish making the card and get to Mickey Park in time to deliverit before sundown?